WEST PALM BEACH, Fla. — A dermatology doctor who volunteers at Palm Beach County high schools is accused of molesting a 15-year-old boy, according to the West Palm Beach Police Department. 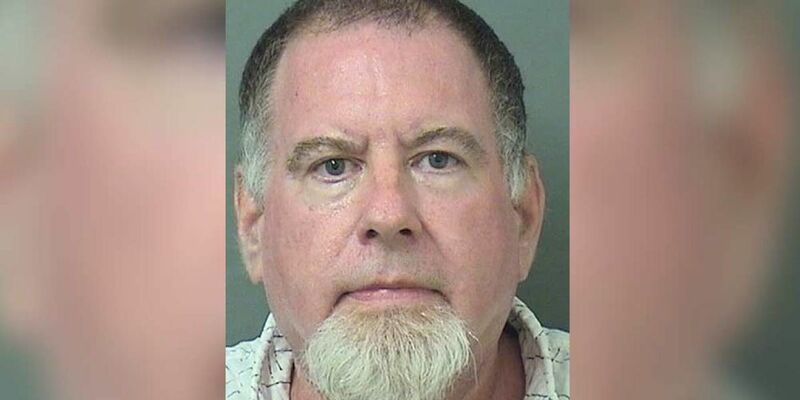 During a Child Protection Team forensic interview, the teen said he ran away from his group home with a juvenile friend and went to the the home of his Guardian ad Litem, 63-year-old Mark Robert Gardner of West Palm Beach. According to an arrest report, the teen said he and Gardner are "cool" and he would normally call Gardner when he ran away and would stay at his residence. The victim said Gardner would frequently take him out to eat and buy him merchandise. While spending the night, Gardner gave him and his friend marijuana. The victim continued saying the marijuana made him tired. He says he laid down on Gardner's bed and when he woke up he saw Gardner standing nearby wearing only boxers. Gardner then laid down on his side pressing his front side against the victim. He put his arms around the victim's backside and and began "rubbing" him. The report says Gardner then pulled down the victim's pants but the victim says he felt weak from the marijuana and was unable to fight Gardner off. The victim told police he fell asleep after Gardner stopped. According to the report, Gardner gave the victim about $20 cash and $120 worth of marijuana the following day and offered him to move in when he turned 18 saying he wanted to be his "sugar daddy." The report says Gardner was released as the victim's Guardian ad Litem in November 2018, after the victim moved to a new facility. The police report states Gardner checked the victim out him out of the facility using his Guardian ad Litem privileges and ID badge. Police say Gardner is a licensed medical doctor and he was a volunteer dermatologist in the athletic department of Palm Beach County high schools. On Gardner's GAL application he selected males between the ages of 8-18. Gardner is at the Palm Beach County Jail. He was arrested without incident near his home and faces charges of attempted sexual battery custodial, lewd and lascivious molestation, contributing to the delinquency of a minor and sheltering an unmarried minor.